Global MINDS focuses on using social innovation approaches to catalyze the development, implementation, mobilization and evaluation of disruptive solutions in order to reduce the global burden of mental disorders and related issues. The Global Mental health INcubator for Disruptive Solutions at Western University (Global MINDS @ Western) uses a transdisciplinary and multi-stakeholder approach for low resource settings in low- and middle-income countries (e.g. East Africa region) and marginalized communities within Canada, that reduce the burden of mental disorders and related issues (e.g. suicide). Global MINDS offers multiple streams of learning and development opportunities for students that are connected by shared principles and learning objectives. The context of the learning (whether for professional education, research-intensive, or community-based learners) may vary, but the shared vision of Global MINDS connects each learner, faculty member, research project, community of practice and teaching and learning opportunity. 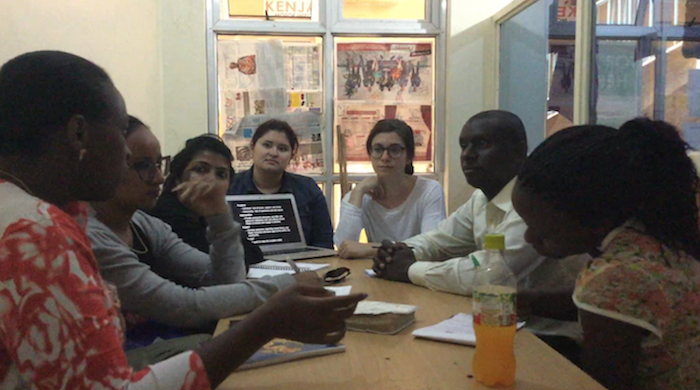 During the second semester of the 2016/17 academic year, a new inter-disciplinary graduate seminar course (one semester) was available at Western University through the professional course-based Masters of Management of Applied Sciences (MMASc) Program in Global Health Systems in Africa (GHS-A) and the Collaborative Degree research thesis-based programs (Masters, PhD) in Global Health Systems in Africa. Faculty from a wide variety of disciplines challenged students to engage in social innovation and social entrepreneurship to address global mental health complex challenges. The Global MINDS Fellowship Program (GMFP) is a year-long opportunity for highly qualified applicants from low- and middle-income countries and Canada with diverse academic backgrounds and skills to collaborate in international transdisciplinary teams to create innovative and impactful solutions for reducing the global burden of mental disorders and related issues.